This JVC Video GC-4800U Camera and PV-4800 Portable Reel to Reel Video tape recorder were one of the first Electronic News Gathering systems used in the Capital Region of New York State in the late 1970s. The system was owned by then in Albany (later to become and NBC affiliate), and operated by news photographers at the station. The reel to reel unit was replaced later with a JVC CR-4400 3/4 inch portable deck. JVC Video GC-4800U Camera and PV-4800 Portable Reel to Reel Video Tape Recorder JVC Video GC-4800U Camera and Later CR-4400 3/4 JVC Portable Deck. JVC Video GC-4800U Camera and Later CR-4400 3/4 JVC Portable Deck. They were put into use as the old film processing systems were being replaced by ENG in and around Albany, NY. 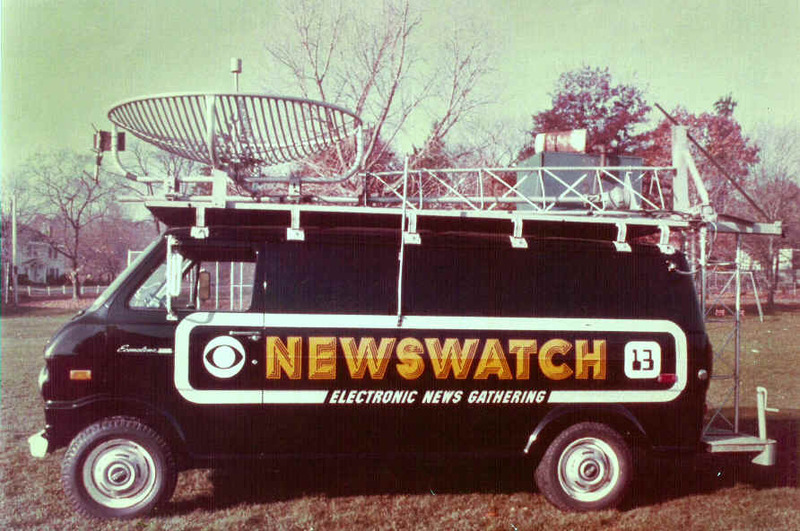 At that time WAST was one of the first stations to put a microwave transmitting van into electronic newsgathering service in the capital region. The microwave van pictured here used a crankup Rohn tower section with a 6 foot rotatable 2 GHz microwave dish to send electronic news signals back to our studios in Menands, NY via our transmitter site atop Bald Mountain near Troy, NY. 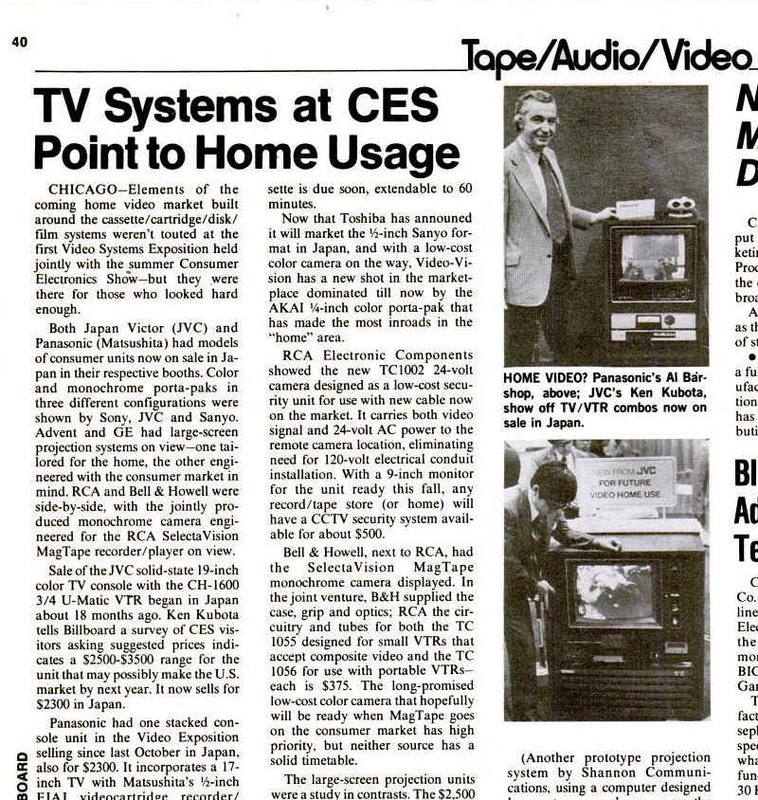 This camera and tape recorder were retired from regular service when the station switched to Ikegami HL-77 cameras and JVC ¾ inch cassette color video recorders around 1980. I was a transmitter engineer for WAST at that time and was doing local news gathering in the Glens Falls, NY area in my spare time using 16 mm film. The camera and video recorder were then given to me for news gathering purposes and I used them for about 5 years along with my two teenage sons who joined me in news stringing and we covered many fires, accidents other news stories. 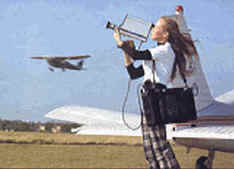 After service in broadcast TV, The camera and recorder were used to help Girl Scouts in South Glens Falls, NY learn about television news production in the late 1980s. 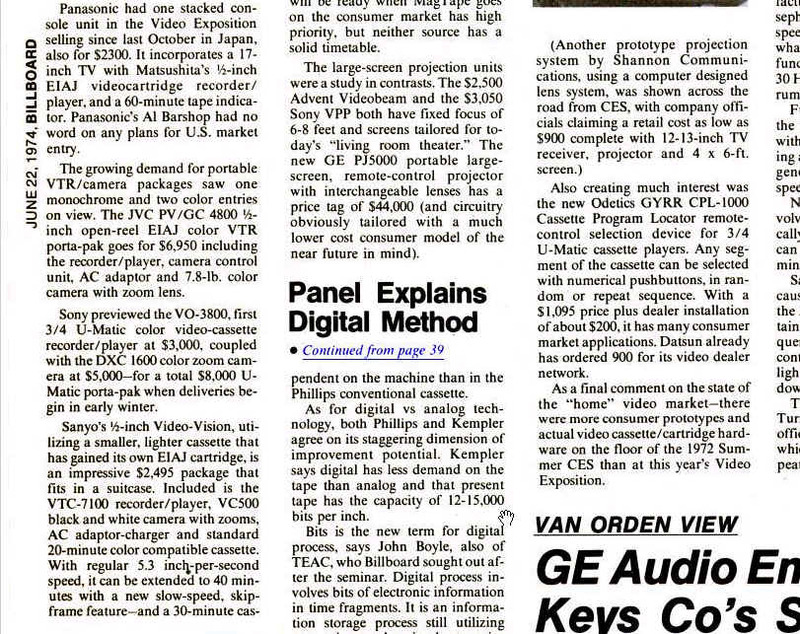 Wow... in 1974 The JVC Video GC-4800U Camera and PV-4800 Portable Reel to Reel Video tape recorder wet on the market new for.... $6950 ... and that was in... 1974 dollars! about half way down left column.